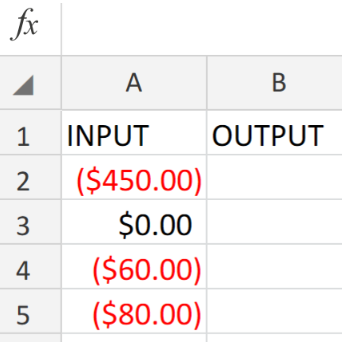 Figure 1. of Change Negative Numbers to Positive in Excel. 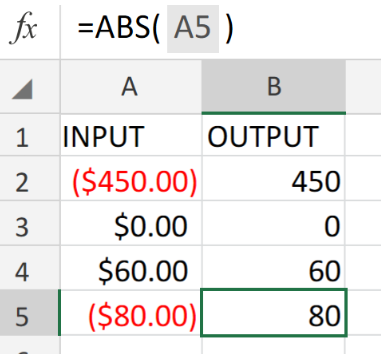 In order to change negative number values into positive number values, we are going to use the Excel ABS Function. 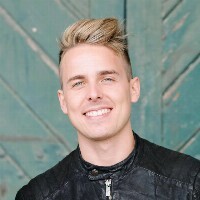 The number component of the formula syntax us the specific negative number value which we desire to convert to positive. We are going to demonstrate the use of the ABS Function in three simple steps. Figure 2. of Number Values for Conversion in Excel. 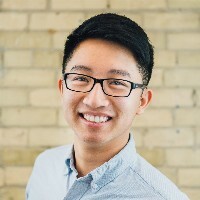 Our purpose here is to convert the negative number values in column A above into negative values which Excel will automatically generate into column B. Hence, the following formula syntax will be entered into the formula bar for cell B2 in our worksheet. 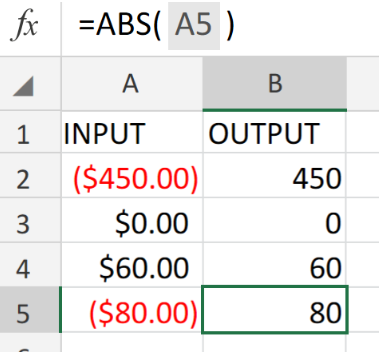 Figure 3. of ABS Function in Excel. 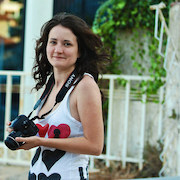 Modify and copy the formula syntax above into the other cells in the OUTPUT column to achieve the desired results. 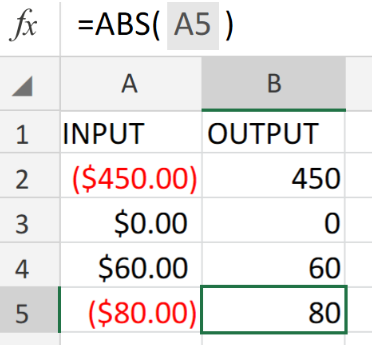 Figure 4. of the Excel ABS Function. Negative number values in Excel are usually displayed in the color red. 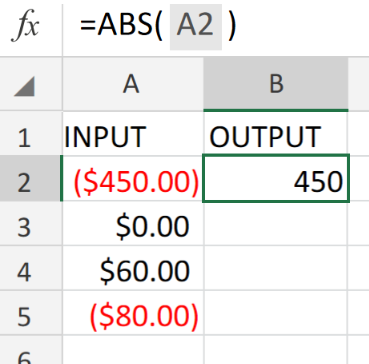 The Excel ABS Function is completely automatic. All we have to do is to enter a specific negative number value and the ABS Function will automatically convert to a positive value. how to auto change color of the cell as the value changed from positive to negative? 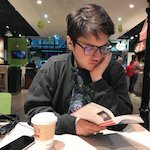 I want to change a column of negative numbers to positive numbers.